400 Northwind ID 95 1568 square feet of living space and one of the most beautiful views in the park on a large lot in a spotless home. 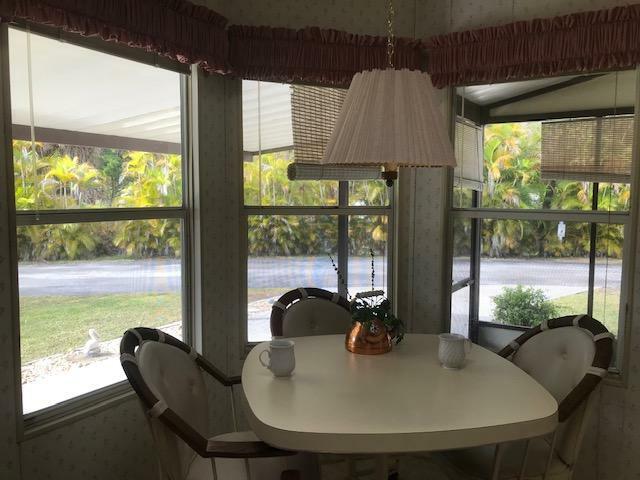 Have your morning coffee in the cute breakfast nook looking out at palm trees or in the screened in lanai. No neighbors to the north or west and wonderful neighbors to the south and back. Very quiet street with plenty of parking and additional parking around the corner at the shuffleboard court. The pool is right around the corner. 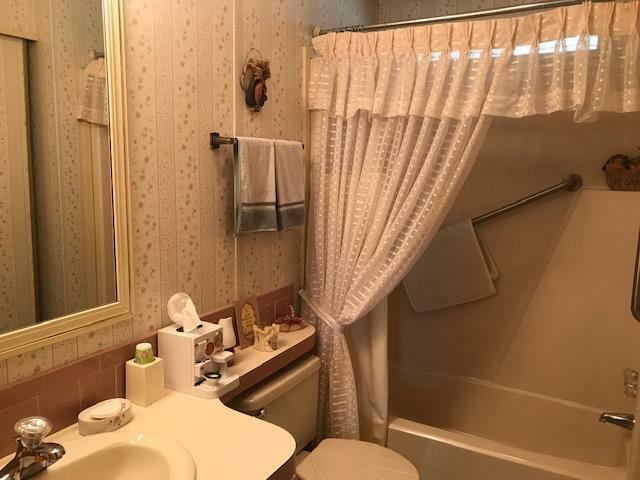 Handicap accessible with a ramp leading into the home and safety bars in the bath and shower. I've been in the park 30 years and declining health is the only reason for the sale. 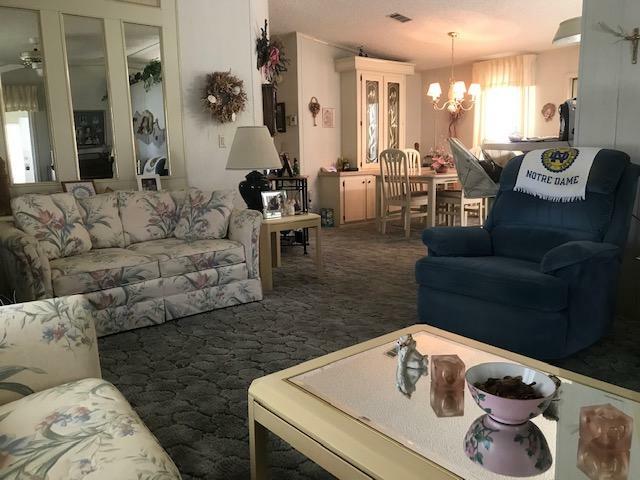 A nice-sized TV/reading room with pull-out couch leads into the formal living room and can be closed off to eliminate sound from the rest of the home. 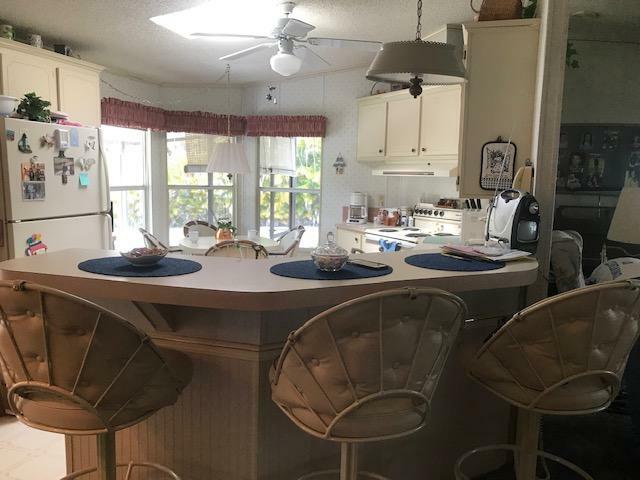 Formal Dining room and hutch adjoins a breakfast bar with 3 stools and a decent sized kitchen. Huge master bedroom will accommodate a king size bed and the largest of bedroom sets. 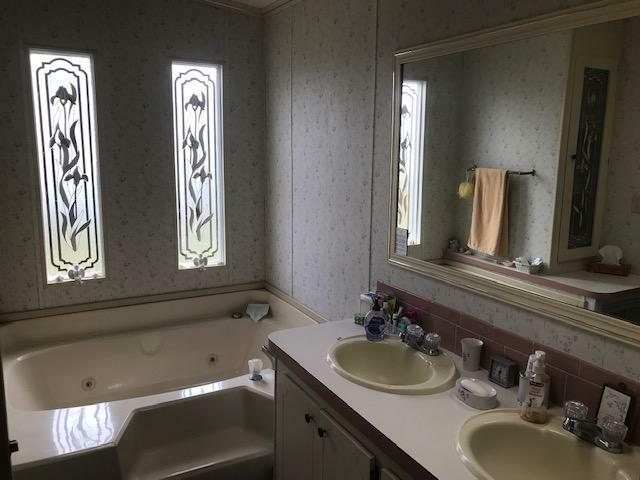 The master bath has a Jacuzzi tub plus a walk-in shower. 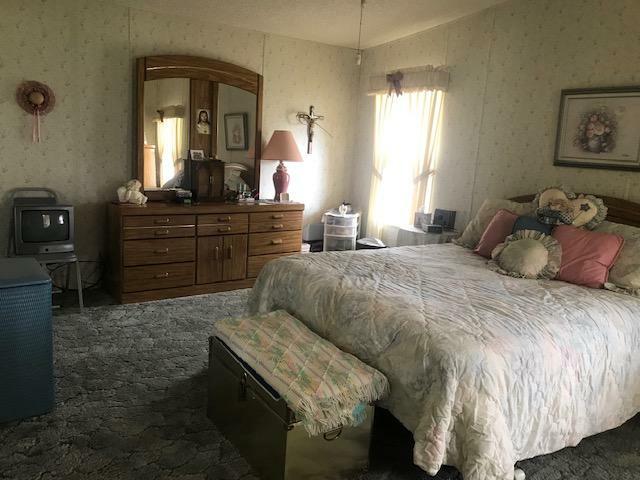 Nice sized guest room and 2nd bath. Washer and dryer in the storage room. 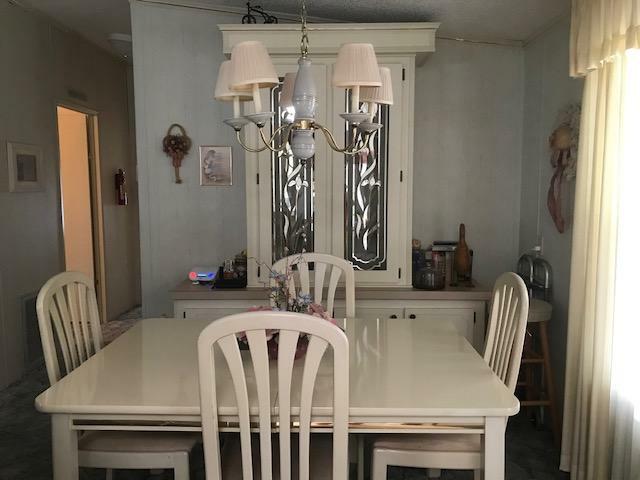 I purchased the Glen Home new in 1989 and it has been well cared for. The roof is approx. 5 years old. 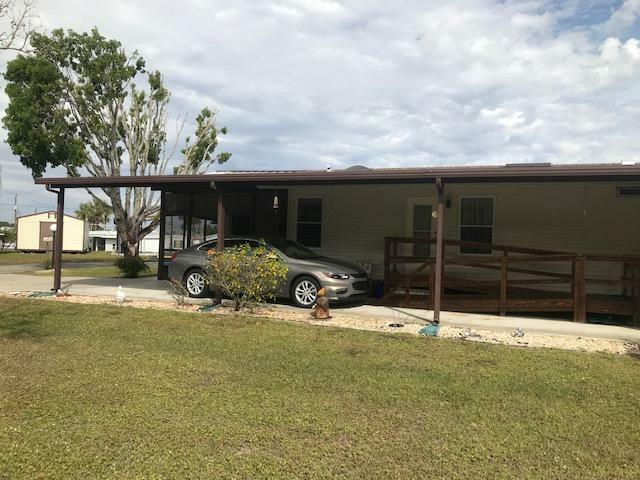 Selling price includes a paid up lot lease of $20,000. 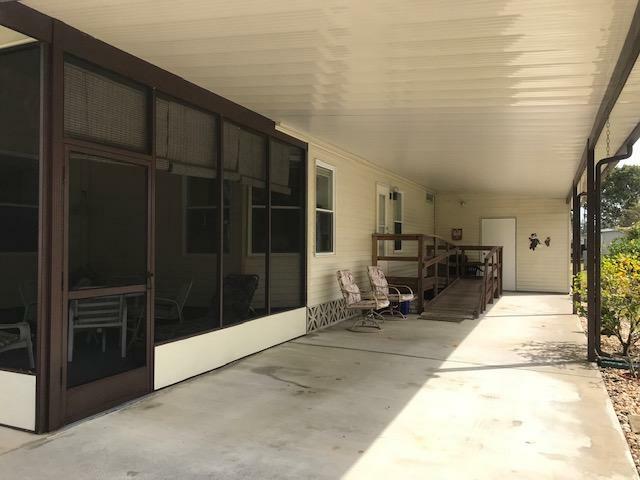 HOA fee is $127. My late husband and I enjoyed playing cards and all the activities at the clubhouse over the past 30 years. I hope the next owner will enjoy it as much. I'm selling it pretty much lock-stock and barrel except for sentimental and personal items. To schedule an appointment, Call Mary Ann at 239-694-8335 or cell 734-301-9538.